Atelier Jean Nouvel designed the masterplan and main building for the renovation of Port of Vigo in Spain – the biggest fishing port in the world. 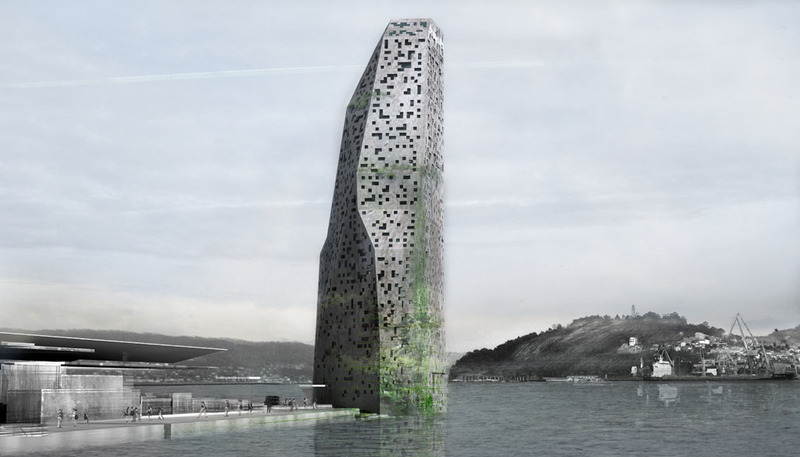 The Menhir, a monolith upright standing stone, is the inspiration for the project; a building 90 metres-high located on the northern edge of the Liner’s quay extension with a drilled façade covered with vegetation suggesting erosion and sedimentation performed on the rock. Connected by public transport on the surface, the monolith will host a hotel and a panoramic restaurant in the upper floors, as the intermediate floors will host the port’s control centre, a conference centre and port offices. Other programs of the project are: Leisure Park: surging from the extension of the current green area in Montero Ríos street, a leisure park in the Comercio’s Quay will be found, redefining the alignment and creating a promenade area along the Port. A vegetal façade which allows the views to the sea. 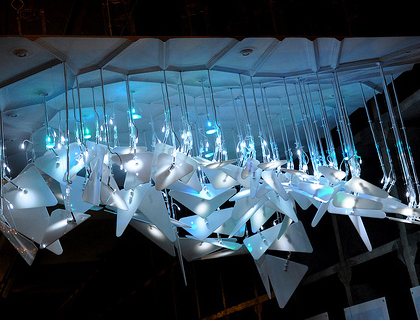 Developed by students from “An Inconvenient Studio” at the Institute for Digital Fabrication of Ball State University, MorphoLuminescence utilizes an understanding of fashion photography to find its form and provide optimized lighting, enhancing the experience of trying on clothing. A three-point lighting set up is commonly used by fashion photographers, arranging a bright key light above eye level, in combination with softer fill and back lighting to create subtle shadows and a three dimensional effect. 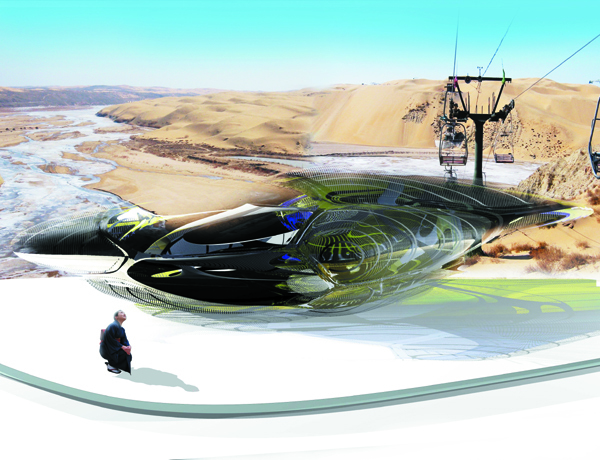 This project by Margot Krasojevic is for the design of two cable car stations along the edge of the Gobi desert, starting from Ordos city, the trail leads into the desert, a major tourist attraction. 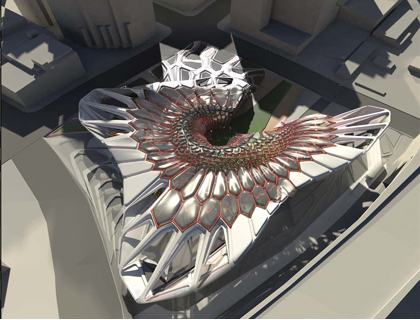 The form developed using a computer software which applies the dynamics and physics in order to simulate a specific environment, such as the Ordos desert, this helps understand caustic light patterns predicting the form’s influence within it’s environment. An important mechanical test rather than purely a formal gesture. 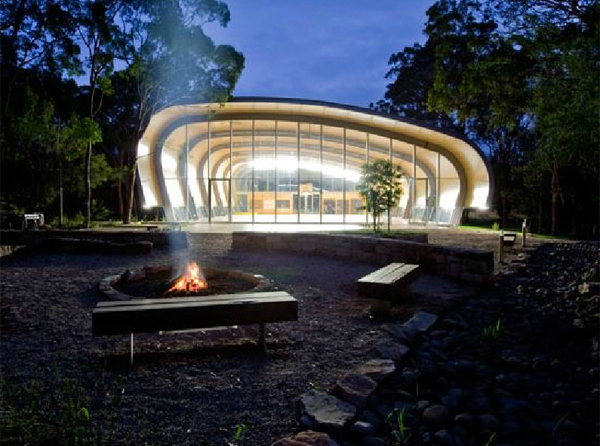 Set on a small island on Hawkesbury River in New South Wales, Australia the Milson Island Sports Stadium goes to great lengths to engage with the environment. 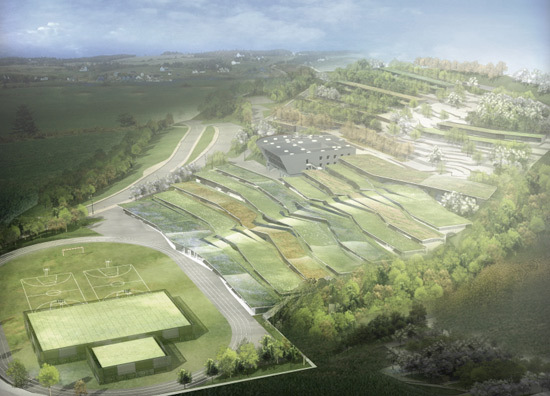 The building is used for sports activities and performance and is a organic backdrop for camp assembly set in the natural confines of the island. Allen Jack + Cottier Architects designed an oval shaped span with a plywood skin for a 30% lighter structure to simplify erection on the site which is accessed only by boat. 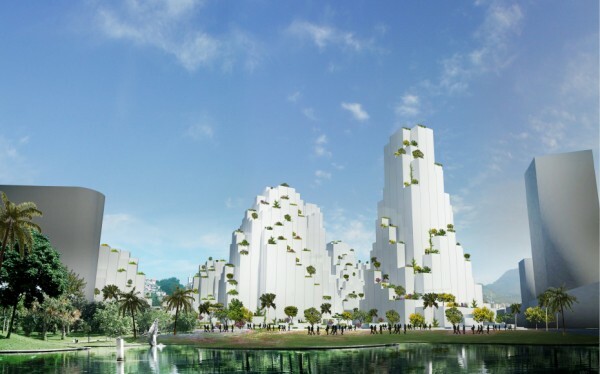 Award-winning architects KSP Jürgen Engel Architekten International has won the first prize in an international competition for the new Beijing Science Center. The original building housing the Museum was opened at the same location in Beijing in 1988 and at the time was the first national science and technology museum in China. 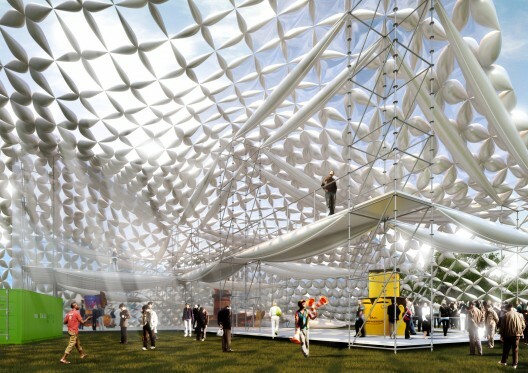 The museum building will be constructed on behalf of the Beijing Association for Science and Technology, China. 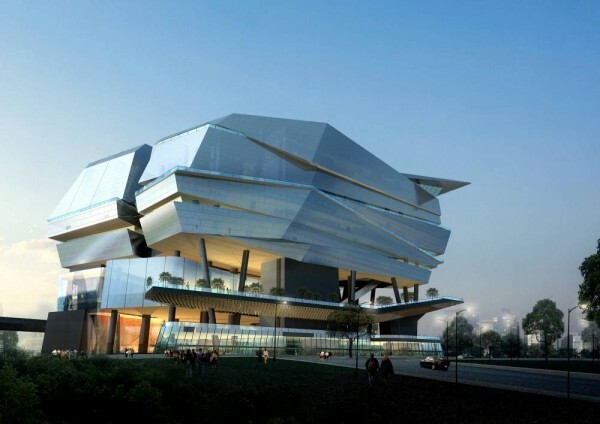 The Star Performing Art Center designed by Aedas Limited is located in the Vista Xchange precinct of One-North, Singapore. The 54,000m2 development comprises of cultural, civic, and retail spaces and when complete will provide a premier entertainment, lifestyle, and retail experience for not only the One-North area but also the wider Singapore community.